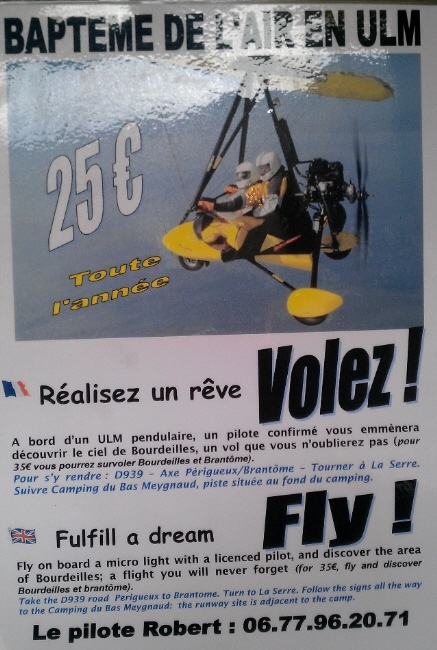 Microlight in Dordogne, south west France, Perigueux. This photo is from a poster I saw at the canoe booking office in Brantome along the street, on the right of the Monastery, by the river. These sites that may be of interest Cornwater fine art.